Superdry men’s Polar Sport Trakker jacket. From our Core Sport range this jacket will soon become an essential item for your wardrobe, and with thermal properties this jacket is perfect to wear pre and post workout. The jacket is fleece lined, has elasticated cuffs for extra comfort, a bungee cord collar and secure zip pockets on the chest and front, ideal for keeping your valuables safe. 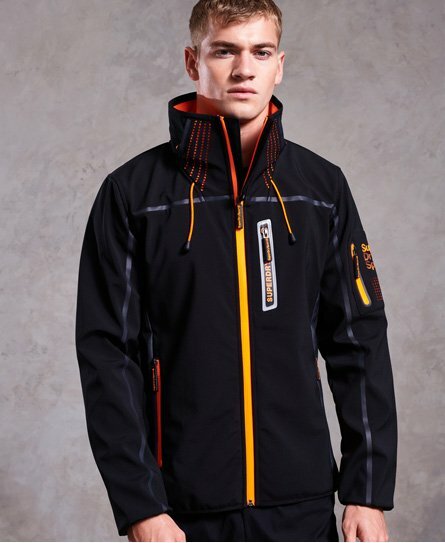 This jacket also has ventilation detailing and reflective properties, improving visibility in low light. The Polar Sport Trakker jacket is completed with a variety of Superdry Sport logos on the zip pulls, collar and shoulder.